Financial planning is a process, not a product. It is the long-term method of wisely managing your money so you can understand your true financial picture, and achieve your goals and dreams. Your first step will be to let us get to know you. We will help you think about your future in a way that you might never have done before. We will help you to consider what is really important to you – and what you really want from your life. We will ask you for your current financial details, any anticipated changes, and your hopes and ambitions. 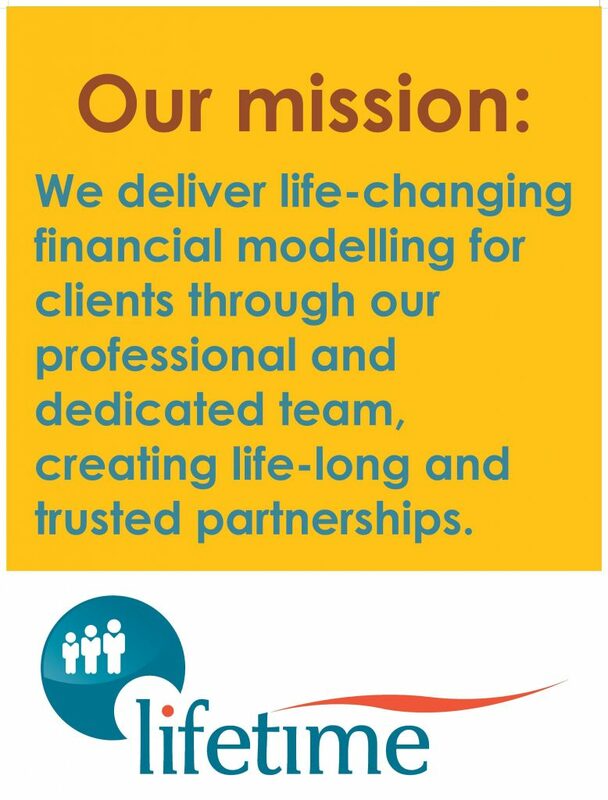 We will use all of this important information to build you a lifelong cash flow model, your customised and adaptable financial plan. Your cash flow model will let you see whether you are likely to be able to meet your goals. It will also show you what your life might be like in retirement. We will be able to help you to test out the different possibilities for your life. Could you afford to work part-time? Should you move to a larger house? Can you help your children? A financial plan can help you answer all of these questions. It will also allow you to see what could happen if things don’t go quite the way you want them to. Knowing that you would still be okay if there is a financial crisis in your life, or if you or a loved one suffers from illness or injury, can give you great peace of mind. Different scenarios can be tested before any big decisions are made. A proper financial plan – a life plan – is something that we all should look to put in place.